Over the course of my life I have been asked the questions, “How do you do your hair?” “How long does it take to do your hair?” “Your hair is so pretty! What do you use?” The amount of times I get asked these questions on a weekly basis is astounding and I am at the point where I am equally appreciative and annoyed by it. Don’t get me wrong, I love the compliments I receive on my hair and appreciate them all very much, but I am growing more concerned with the thought that people will only ever remember me for something as superficial as my hair. Anyways, in an attempt to lessen the questions people have for me regarding my insanely thick, dark, luscious locks, I have decided to let people in on my ‘beauty’ secrets. Step 1. Take a shower/ shampoo and condition hair. Shocking, I know. No but seriously, I know a lot of people have their opinions about showering everyday and its affects on your hair, but I am in fact one of those people who takes a shower everyday. I take a shower only once a day every morning and I have found that this is the best way for me even though I see the appeal to taking showers at night and letting your hair dry overnight. However, in my case and for my girls out there with thick hair, my hair does not dry in a matter of minutes, it takes HOURS and I simply do not like going to bed with my hair wet unless absolutely necessary because then it gets my pillow and sheets all wet and it is just not my vibe. 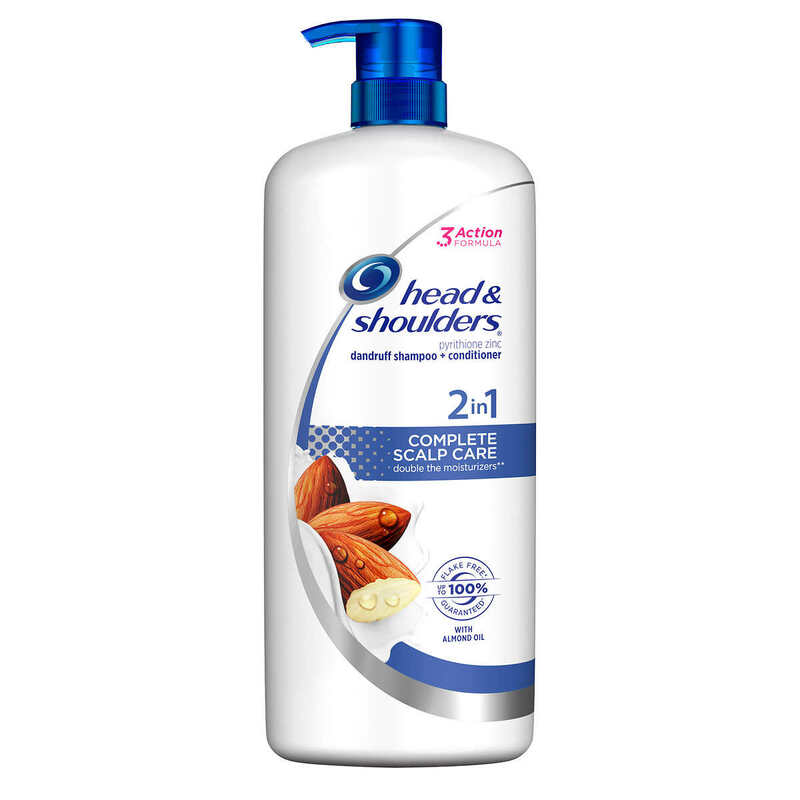 As for the shampoo and conditioner I use, I have found that a specific combination has worked for me for the past 5 years and that is using Head & Shoulders 2 in 1 shampoo and Garnier Fructis Triple Nutrition conditioner. I know what you are thinking, but I assure you I do not have dandruff, I just love the way my hair feels after I use it and the fact it prevents dandruff is only a plus in my book and the conditioner just smells awesome and leaves my hair silky smooth. The two together are a match made in heaven and I have not found a better pair out there for me. After stepping out of the shower I dry my hair with a towel first and then proceed to use my holy grail hair product, the oh so wonderful Argan Oil of Morocco by Ogx and I use the “penetrating oil for all hair types.” I just put a dime sized amount in my hand and then comb it through my hair with my hands starting from the bottom first and then working up but not directly in the roots because if your hair gets oily quickly you do not want to put more oil in it. I then blow dry it until completely dry with any blow dryer and I have found that it really doesn’t matter what blow dryer I use, my hair turns out the same regardless. Something notable about how I blow dry my hair is that as I am drying it I switch between flipping my hair over bending over as well as standing up straight as I find this technique gives my hair some extra volume. To answer the question so many people have for me, yes I do curl my hair everyday. I mean, of course there are days when I just straighten it to save time and then there are days when I am lazy and not going anywhere so I just air dry it, I mean I am human guys. Anyways, I use a brand-less 1 inch curling iron and before I begin curling I section my hair off to make sure to curl every layer of my thick hair, but the thing is, I leave the front pieces that frame my face for last. I do this because I use my flat iron to curl those pieces. Yes folks you read that right. I USE MY FLAT IRON TO CURL MY FRONT PIECES OF HAIR. I find this works best when it comes to the longevity of my hairstyle because my front pieces are always the first to fall flat and as much as I wish I could just quickly curl ALL of my hair with the flat iron I just have too much to curl every piece, so the front pieces often suffice. I have gotten in the habit of sometimes spritzing my hair with some hairspray before I am done just for some extra volume and hairstyle longevity, but I certainly do not do this everyday and please don’t drench it in hairspray because then you will be left with a crunchy mess and honey that is not cute.